Do you ever watch the Today Show? It frequently runs a segment where it celebrates the birthdays of people who are 100 years or older. As we are living longer, the number of celebrations has grown exponentially since Willard Scott started the practice in 1983. The economic effects of this demographic shift are tangible. So, when I saw a recent article in Builder magazine that asked the question of what happens when more people live to 100 — and more importantly, live to be a centenarian in relatively good health, there’s money to made by investors. While you could probably come up with a few names of companies that will benefit from an aging population, to save you some time, I thought I’d give you the answer on a silver platter with a few worth-while exchange-traded funds to consider. Here are seven ETFs to buy to ride the longevity economy. 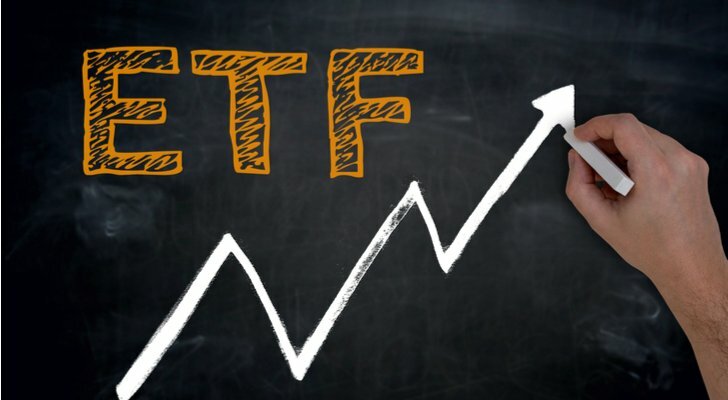 The meaning of the name behind the The Long-Term Care ETF (NASDAQ:OLD) is reasonably self-explanatory. OLD is an ETF from Janus Henderson (NYSE:JHG) that seeks to invest in companies around the world that are providing long-term care to an aging population. Tracking the Solactive Long-Term Care Index, OLD is a portfolio of 46 stocks that work in and around long-term care. The top ten holdings account for 68% of the fund’s $16.5 million in total assets. Almost three years old, OLD’s track record is still relatively short. However, over the past year, it did achieve an annual total return of 22.9% through Mar. 12; ten times the return of the S&P 500 over the same period. Charging 0.35% in expenses (or $35 annually per $10,000 invested), it has a nice mix of large and small companies, which means you’re going to get a combination of large-cap dividend payers along with small- and mid-cap growth stocks. Oh, and don’t forget, it benefits from an aging population. If you’re going to invest in ETFs benefiting from the longevity economy, there is no more appropriate an investment than the Global X Longevity Thematic ETF (NASDAQ:LNGR), which tracks the Indxx Global Longevity Thematic Index. The index focuses on four longevity themes: Health care products, health care services, medical devices and senior homes. Within those four themes are 19 related industries. A company must generate at least 50% of its revenue from one of the four themes to qualify for inclusion. These are considered pure-play longevity companies. The index’s goal is to assemble a portfolio of 100 companies. No stock can account for more than a 3% weight cap and a 0.3% weight floor. No industry can account for more than 60% of the portfolio. It’s reconstituted and rebalanced annually in April. In existence since May 2016, LNGR has managed to attract $17.1 million in assets under management, which isn’t much, but given how competitive the ETF space is, it’s better than many other niche funds. Charging 0.50% annually, ETF specialists would probably call it expensive given almost 70% of the portfolio is invested in two industries — healthcare equipment and biotechnology, which you can get elsewhere for less. While the iShares Residential Real Estate Capped ETF (NYSEARCA:REZ) is a play on real estate, two of the fund’s top ten holdings are Ventas (NYSE:VTR) and Welltower (NYSE:WELL), two of this country’s biggest owners of healthcare real estate. REZ has 33% of its $421 million in net assets invested in healthcare REITs, making the longevity economy an important reason why this ETF should do well in the next 5-10 years. In existence since May 2007, REZ has delivered for shareholders, generating an annualized total return of 18%, 155 basis points higher than the S&P 500. As its name suggests, its primary focus is to invest in residential real estate in the U.S., which accounts for 49% of the ETFs net assets. As far as real estate ETFs go, at 0.48% annually, it’s not cheap, but it has at least outperformed the index and its real estate peers. If you’re going to write an article about ETFs benefiting from the longevity economy, or any economy for that matter, you’ve got to include Vanguard in the mix, if only because of its lower costs. The Vanguard Health Care ETF (NYSEARCA:VHT) charges a paltry 0.10% for its portfolio of 385 healthcare stocks. Of the industries it invests in, the top four by weight are pharmaceuticals (29%), healthcare equipment (21%), biotechnology (20%) and managed healthcare (11%). VHT’s top ten holdings account for 44% of the fund’s $10.3 billion in total net assets making it the biggest of the seven ETFs mentioned in this article. If you’re going to focus on the longevity economy, VHT makes total sense as an anchor for your entire portfolio of ETFs because it brings size, it brings low fees and it delivers performance. A decade ago, if you invested $10,000 in VHT, today it would be worth almost $51,000. You absolutely should have this ETF in your portfolio. One of the things a lot of us buy to protect our family’s assets is life insurance. Unfortunately, when we think of life insurance, the first thing that comes to mind is death. And when we think of death, we think of getting old. The SPDR S&P Insurance ETF (NYSEARCA:KIE) got its start in November 2005. More than 13 years later, it has total net assets of $714 million, a reasonable amount for a sector ETF. Like a lot of these ETFs, it has a smaller number of holdings with just 48. Life and health insurers account for 28% of the portfolio, the second-largest weighting, behind property and casualty insurance at 40%. Charging a reasonable 0.35% annually, KIE tracks the S&P Insurance Select Industry Index, an index that represents the insurance segment of the S&P Total Market Index, which in addition to life and health insurance and property and casualty insurance, invests in insurance brokers, multi-line insurance companies and reinsurance companies. The index is comprised of insurance stocks that have a float-adjusted market cap of $2 billion or more. The index’s modified equal weighting ensures that investors get both company diversification by type of insurance and size of the company. The ARK Innovation ETF (NASDAQ:ARKK) has quite the reputation having been named ETF of the Year in 2017. Actively managed, it focuses on companies relying on disruptive innovation to drive their growth. ARKK’s largest holding is Tesla (NYSEARCA:TSLA) with a weighting of 8.4%. Perhaps you’ve heard of Catherine Wood, the ETF’s portfolio manager? She’s gained a lot of notoriety for writing a letter to Tesla CEO Elon Musk last August asking him not to take the company private. I wrote about her shortly after that letter made the rounds. With more than $1 billion in total net assets in a little over four years, Wood has done an excellent job putting ARK Investment Management on the map, the business she started in 2014 after working for others for more than 30 years. If you like ETFs that invest across all market caps, you’ll like ARKK. It puts almost half of its assets in small- and mid-cap stocks, limiting its number of holdings between 35-50 of its best ideas. Paying 0.75% for arguably one of the best tech investors in America, this is the star of the seven ETFs to buy I’ve listed. Nobody likes getting old so it stands to reason that if you’re going to bet on the longevity economy, it probably makes sense to hedge your bets a little by investing in the Principal Millennials Index ETF (NASDAQ:GENY), an ETF that invests in companies that are impacted by the spending and lifestyle of people born between 1980 and the mid-2000s. While it has taken the boomers a little while to understand where the Millennials are coming from, I can assure you we boomers (I’m 54 and at the very tail end of the baby boom) recognize the economic impact that this demographic is having on companies, big and small. There’s money to be made from them. The ETF tracks the Nasdaq Global Millennial Opportunity Index, a group of approximately 100 stocks that derive a significant chunk of their revenue from Millennial consumption. As a result, its holdings list is much different than the typical broad-based ETF. It charges 0.45%, That’s a reasonable fee considering the three portfolio managers bring an average of 23 years of industry experience to the table, it’s going to surprise a lot of investors in the future who view it merely as a fad. Expected to spend $10 trillion over their lifetime, Millennials are the real deal. And so is GENY. Article printed from InvestorPlace Media, https://investorplace.com/2019/03/etfs-to-buy-to-ride-the-longevity-economy/.